Tumblr doesn't update all that often really and when it does it usually is just that the layout and icons have changed which usually annoys people for some reason. Their latest update, however, introduces the Labs feature. Tumblr Labs is basically a little section in the settings tab that will allow you to try out different features. This feature was new this week and is reminiscent of XKit in that there are loads of features that you can turn on or off. For those unfamiliar, XKit is the extension that makes Tumblr usable for many users, such as extensions making reblogs editable as well as some more ridiculous features. Tumblr Labs, on the other hand, is just a few new features and around half of them are useful and the other half are either silly or somewhat interesting. I went and checked the features out myself and I'd like to point out that the Inside Tumblrs and Queue+ features could actually be really useful. The Inside Tumblrs feature is going to be useful if you have private blogs for you and a few people. It's actually really annoying that you have to click onto the blog to see people's posts and things as it means you're in and out with the notifications. This new feature means that people who are members of the blogs will see the new posts on their dash. The posts are still private, but just easier to access if you're busy on your dash. The other useful feature is Queue+ which just features improvements to their current queue. Posts no longer have to be queued on the hour, nor do you have to queue the posts essentially within one day. Seeing this made me pretty happy as it really is so practical. Before, if you just wanted to queue something over the period you would be asleep, you couldn't unless you set it to start at midnight. Sometimes you might want posts queued between ten thirty and seven and now you can. In fact, you can even specify the amount of time between the queued posts and bundle up to five posts into the allotted time slot as well. These are probably the best updates Tumblr could have made for now and I hope they add more like these. The other things offered in the Tumblr Labs right now are the ability to make posts on your dash the colours of the blog that's posting it, which can make them a little hard to read, and little graphs to see how the posts are spreading. The graphs could be useful if they were a little more detailed and specified who the links are. These are the sorts of features though that make users think that the Tumblr Labs are useless, but it's clear that they can do some good. These features might not be around forever and when Tumblr updates, they may become buggy or not work. If you like a feature, then it might help to let the staff know that you want this to become a regular feature. If you want to try out the Labs for yourself, then go into your settings and click open the tab. 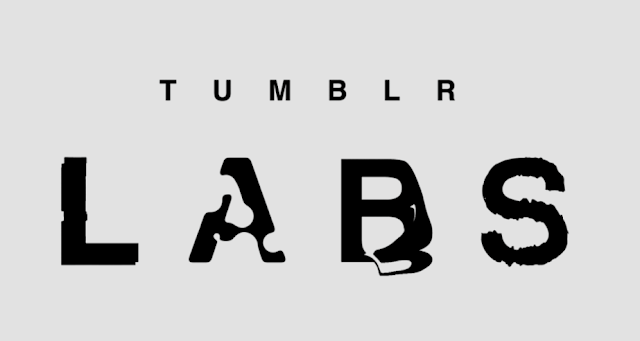 Enable Tumblr Labs and then choose which features you want to test out.